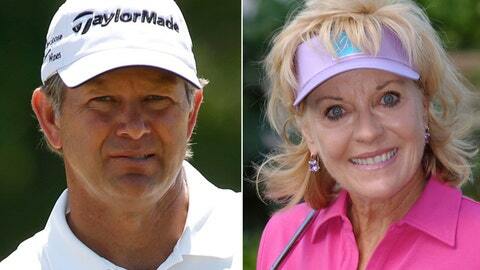 ST. AUGUSTINE, Fla. (AP) — Two-time U.S. Open champion Retief Goosen and three-time major champion Jan Stephenson are among five people selected for induction into the World Golf Hall of Fame. A 16-member panel of mostly golf administrators also selected retired Augusta National chairman Billy Payne, LPGA charter member and renowned teacher Peggy Kirk Bell and Dennis Walters, who has been inspiring golfers through clinics despite being paralyzed from the chest down since he was 24. Goosen recovered from a lightning strike to win 33 times worldwide, including U.S. Opens at Southern Hills and Shinnecock Hills. Stephenson won the LPGA Championship, U.S. Women’s Open and du Maurier Classic among her 16 titles on the LPGA Tour. The induction will be June 10, the Monday of the U.S. Open at Pebble Beach.